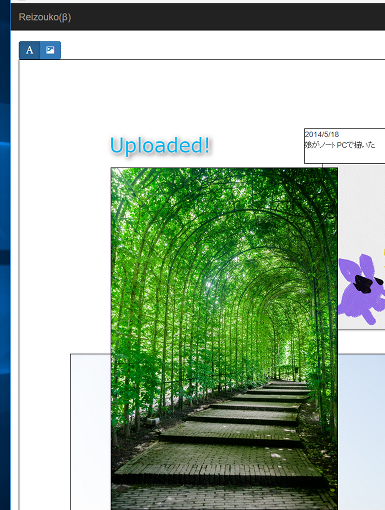 You can use Reizouko as soon as you sign in to each application with the icons above. Using Reizouko needs agreement to the user policy . Please read the user policy enough and agree to it first, and then sign in. By signing in, you shall be deemed to have agreed to the user policy. 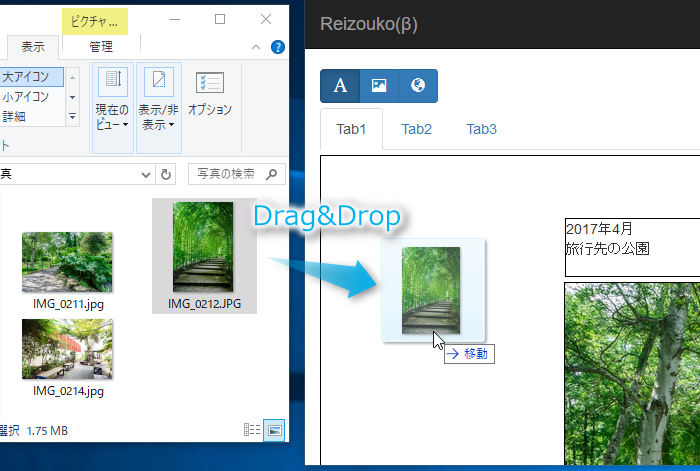 Drag-and-drop images into Reizouko to upload. Move and resize images by drag. You can upload any other files than images. You have 2GB storage for free. Double-click to make a text box. You can also resize and move. You can make 2,000 memos and each memo can have 20,000 characters. Did you say "where is the save button"? Focus out from the text box to save. Reizouko is available for free now and will also be so in the future. If you could help me by making a donation, I would greatly appreciate it! Please make a donation by buying me Amazon Gift Card (E-mail type). Amazon account and credit card required. 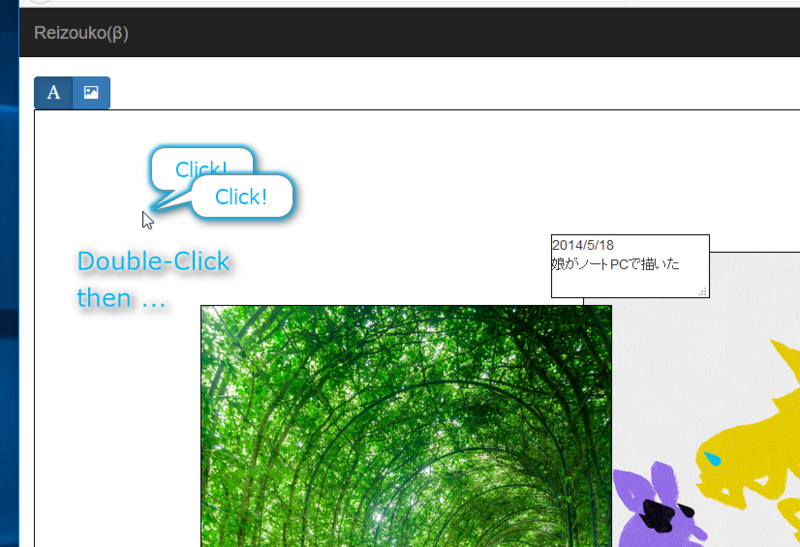 Input "donation@reizouko.online" in the "Recipient E-mail" field, and buy it in any amount - it's available from 15 yen.